The trousers are made of 18 ounce wool serge cloth, olive green 108, conforming to type I, class 1 of MIL-C-823. The trousers have a grown-on waistband equipped with belt loops, suspender straps, and waist adjustment straps; two side pockets, one hip pocket on right side of back and a waistband lining pocket with button and buttonhole closure. 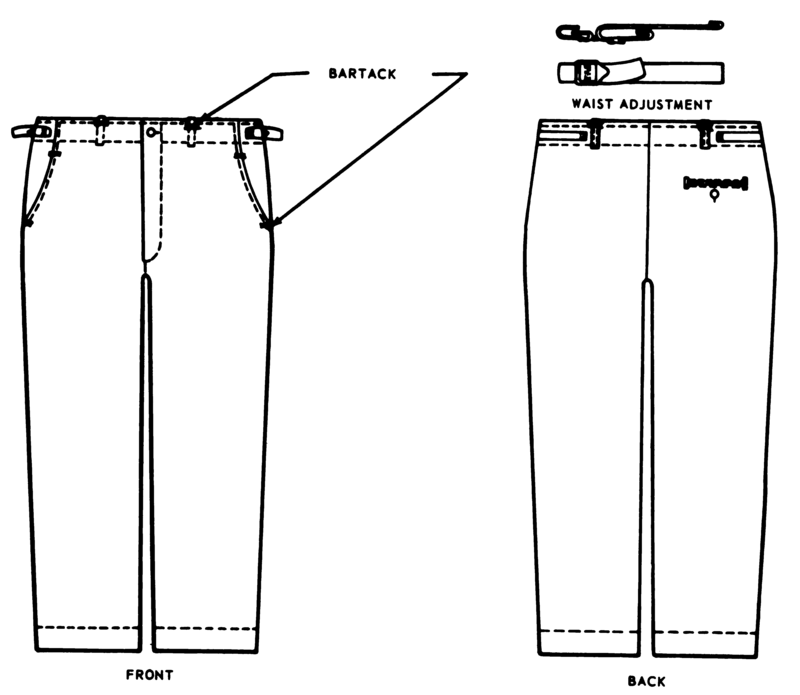 The trousers are made with single needle construction and provide a seat seam outlet.